Active member of SOCVR, SOBotics and Charcoal HQ. Please read the rules of each of room and join them! You will find them helpful for sure! I am an active user in Area 51, too. 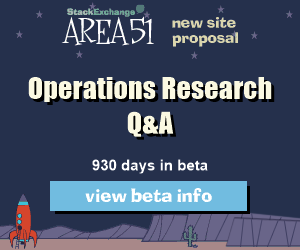 Believe me; they really need your help as they'll make great addition to the list of Stack Exchange sites. print "Future guess module: Type a future year to see its future"
Can't locate future_guess.pm in @INC (you may need to install the future_guess module) (@INC contains: /etc/perl /usr/local/lib/x86_64-linux-gnu/perl/5.24.1 /usr/local/share/perl/5.24.1 /usr/lib/x86_64-linux-gnu/perl5/5.24 /usr/share/perl5 /usr/lib/x86_64-linux-gnu/perl/5.24 /usr/share/perl/5.24 /usr/local/lib/site_perl /usr/lib/x86_64-linux-gnu/perl-base) at future_guess.pl line 3. BEGIN failed--compilation aborted at future_guess.pl line 3. You need very high privileges all over the environment to install "future_guess" module! So, only God knows the future! 10 Touching a captured queen -- must I promote to it?